In an e-mail Denny Vrandečić announces an astounding bit of news. It effectively says that Wikidata can have all its data if it wants it. It then goes on saying that it is not expected for Wikidata to accept all this data and follows with an announcement for a tool that is to source data. This news is best read as it was announced..
Freebase was launched to be a “Wikipedia for structured data”, because in 2007 there was no such project. But now we do have Wikidata, and Wikidata and its community is developing very fast. Today, the goals of Freebase might be better served by supporting Wikidata . 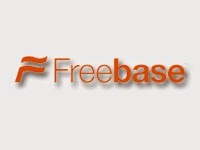 Freebase has seen a huge amount of effort go into it since it went public in 2007. It makes a lot of sense to make the results of this work available to Wikidata. But knowing Wikidata and its community a bit, it is obvious that we can not and should not simply upload Freebase data to Wikidata: Wikidata would prefer the data to be referenced to external, primary sources. I hope you are as excited as I am about this project, and I hope that you will join me in making this a reality. I am looking forward to your contributions!